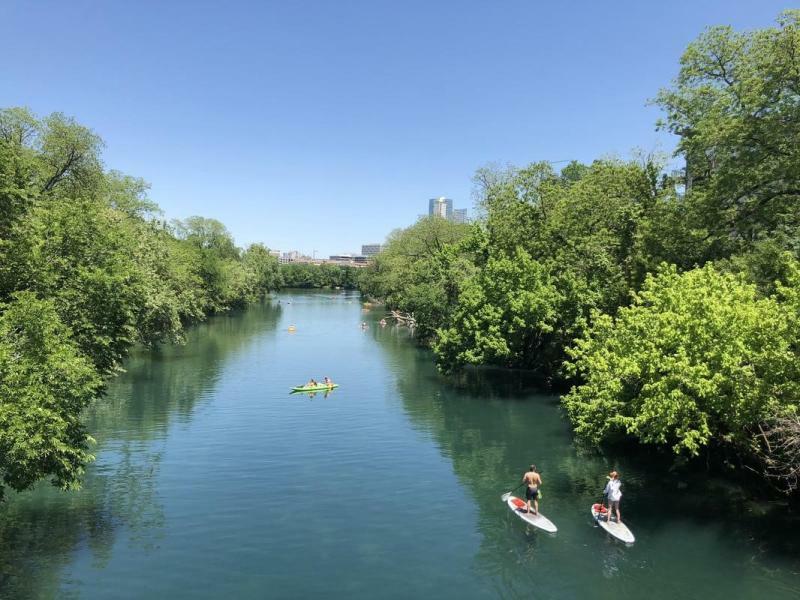 Austin is quickly becoming one of the top U.S. cities to visit, and it&apos;s no surprise since there&apos;s a plethora of things to do, see and eat. Whether you want to take a quick dip or embrace the music scene, it&apos;s nearly impossible to get bored in our thriving city. 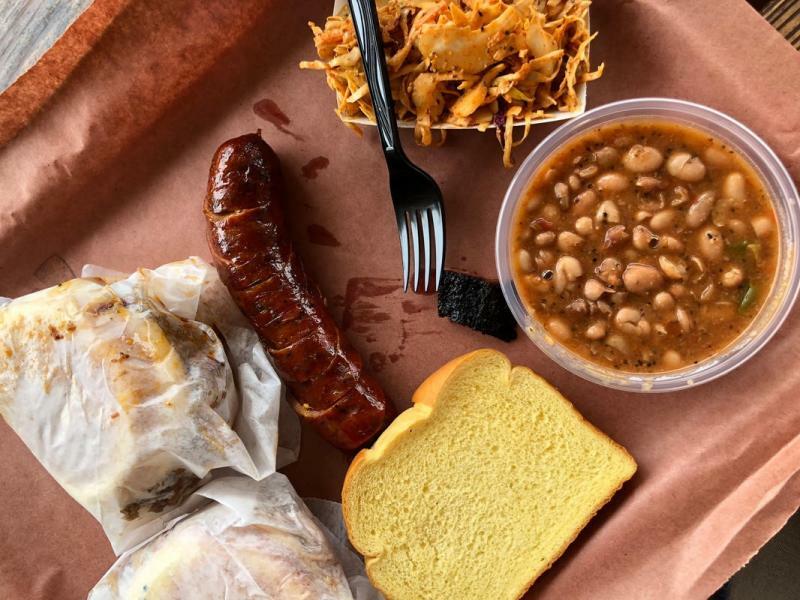 The buzzy, casual and friendly vibe of the city is perfect for a solo traveler, and we have you covered with this complete solo traveler&apos;s guide to Austin. One of the (many) reasons to love Austin is our year-round, mild temperatures and sunshine. Spring and fall have warm but moderate weather, generally 70-80 degrees, while the winter season is mild at 60 degrees. Summer is hot, so embrace those outdoor, shaded patios and make sure to spend plenty of time on the lake. If your timing is flexible, you may want to check out a list of festivals and plan your trip to coincide with a festival of interest to you. This is the heart of the city, where you&apos;ll find the majority of museums, upscale restaurants and a happening nightlife scene. Staying here will put you close to all the action, but can also be a bit pricier than other neighborhoods. The Driskill, built in 1886, exudes iconic Austin charm and is located at the convergence of Congress Avenue and Sixth Street, perfect for solo travelers who like to be in the middle of all the action. 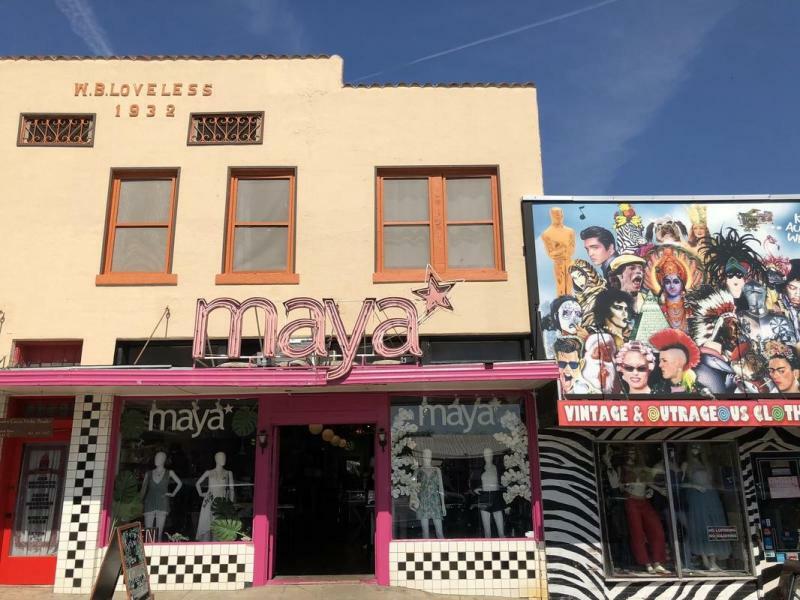 Just across the river from downtown is South Congress, where you&apos;ll find a funkier, more eclectic side of Austin in the shopping, dining and arts scene. There are also several bus lines, making it a great central location. The boutique Kimber Modern hotel is located in South Congress, but close to downtown. The location is amazing, and it gives you the feel of living in a modern condo (so you can pretend you&apos;re a local). Populated by creatives, there&apos;s always a concert, art show or film series going on in East Austin. The bar scene is also thriving. This is the most rapidly changing part of the city and the perfect up-and-coming place to stay. Native Hostel is a luxury hostel, or co-living space, that provides the elegance of a luxury hotel with the convenience, comradery and affordability of a hostel. If you prefer more unique accommodations and you&apos;re itching to embrace the "Keep Austin Weird" mentality, this is for you. Via 313: Detroit-style pizza served out of several pizza trailers throughout the city. Pangea Lounge: A food truck park with all kinds of international cuisine, live music, and local artisan booths. Patrizi&apos;s: Freshly made pasta? What could be better! Plan to visit at least one of Austin&apos;s many distilleries and breweries. All these spots are lots of fun and great places to meet lively locals, enjoy some good brews and maybe listen to some cool tunes. Ambrose Vin Taj: Go here to find vintage and eclectic furniture, ranging from antique to mid-century modern. Byron & Blue: A chic spacious shop with a mix of new and vintage clothing, as well as prints by local independent artists. Feathers Boutique: A beautiful selection of vintage and new clothing as well as gifts and home goods for vintage inspired interiors. As the Live Music Capital of the World®, catching a live show is a must when visiting Austin. With more than 250 live music venues, there&apos;s bound to be a perfect spot for every visitor. These are fantastic spots for solo travelers. Whisler&apos;s: It&apos;s almost like Whisler’s was made for solo travelers. You can sit at the action-packed bar, join a group at an outdoor communal table or play pinball alone. The Mohawk: This beloved Austin bar and multilevel live music space has a roof deck and indoor and outdoor stages. Shows are scheduled nearly every night of the week. Broken Spoke: An Austin tradition since 1964 with a reputation for great live country music, good Texas cooking and even line dancing classes! ACL Live at The Moody Theater: If it&apos;s located on a street called "Willie Nelson Boulevard," you know you&apos;re going to have a good time. The world-famous theater hosts a variety of acts from all genres, making it the place to see and be seen in Austin. Go mural hunting: There are lots of iconic murals in and around downtown and South Congress. Your Instagram will thank you. Cathedral of Junk: A unique and eclectic art structure made from junk that took the artist 29 years to create in his backyard. Go museum hopping: Visiting museums when traveling solo is a great way to embrace the art, culture and history of the city, and there are so many options in Austin like: Austin Nature and Science Center, Museum of the Weird, Museum of Natural and Artificial Ephemerata, and Mexic-Arte Museum. Wander the Umlauf Sculpture Garden: Just steps from Zilker Park, this sculpture garden is such a great place to spend time in solitude after soaking up the liveliness of the city. Contributed by iExplore. Photos courtesy of Jade Broadlus.